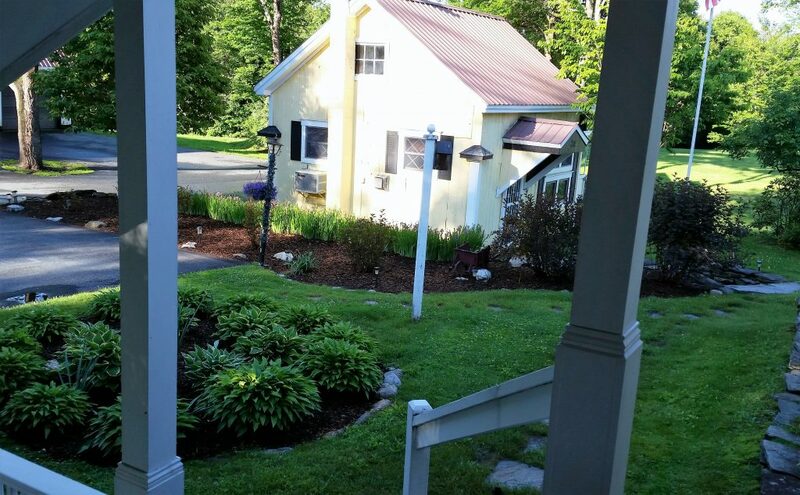 Seven acres of beautiful perennial gardens, sweeping lawn, koi pond, maple, oak and birch trees, time-worn stonewalls, surrounding woods plus the Quechee Gorge! 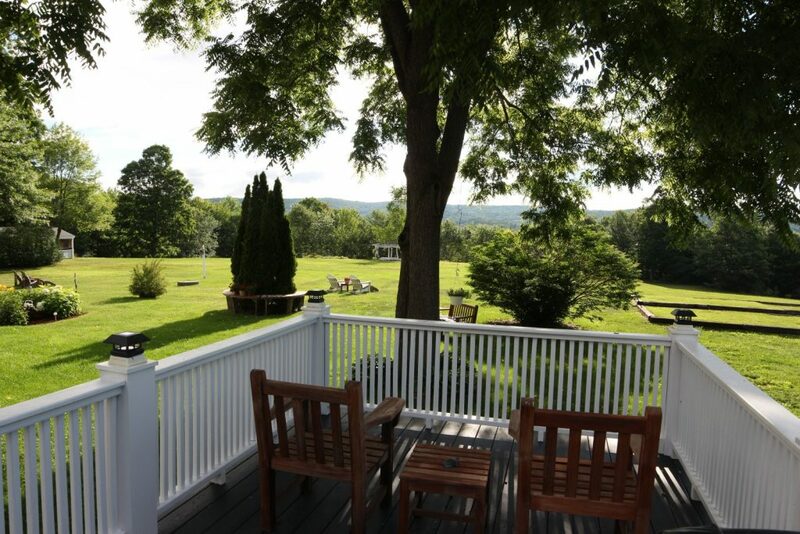 Our property backs up to the Quechee Gorge, offering spectacular views of hillsides from across the Gorge and the distant hillsides of Vermont and New Hampshire. 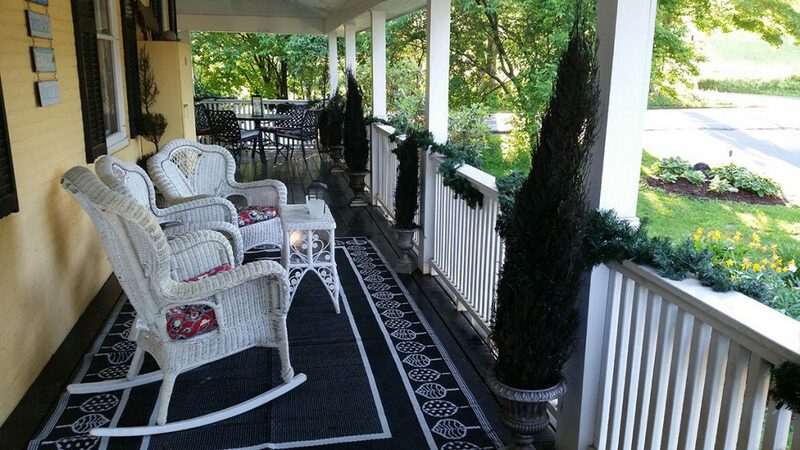 The main house was built sometime in the early 1800's but many additions and renovations occurred in later years. Only 4 rooms are available which allow us to provide much personal attention to our guests. We also offer the ultimate in privacy and enchanting luxury in our impressive country cottage. 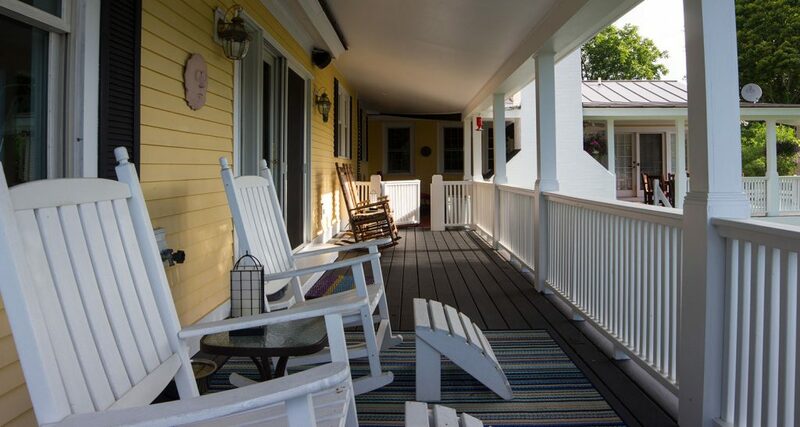 We offer our guests a sitting room, gift shop, spacious dining room, a workout room, pergolas, gazebo, covered porches and a stone patio at pond's edge. Guests often roast marshmallows in the fire-pit and chiminea. 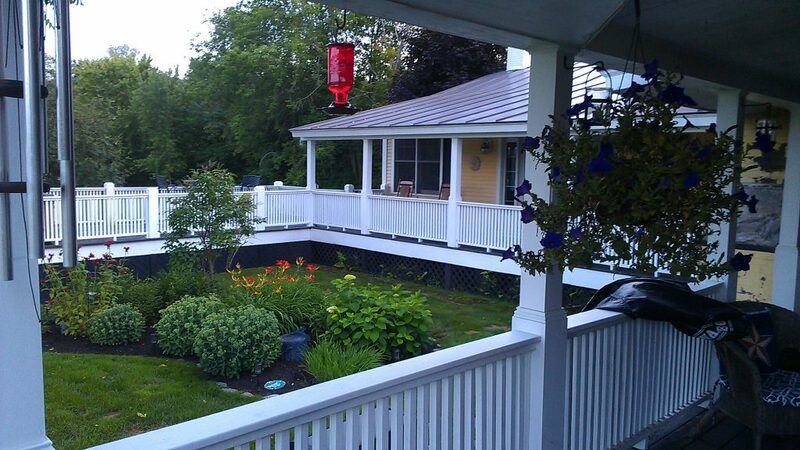 With advance notice, two massage therapists are available to pamper and indulge in the privacy of your room or cottage. 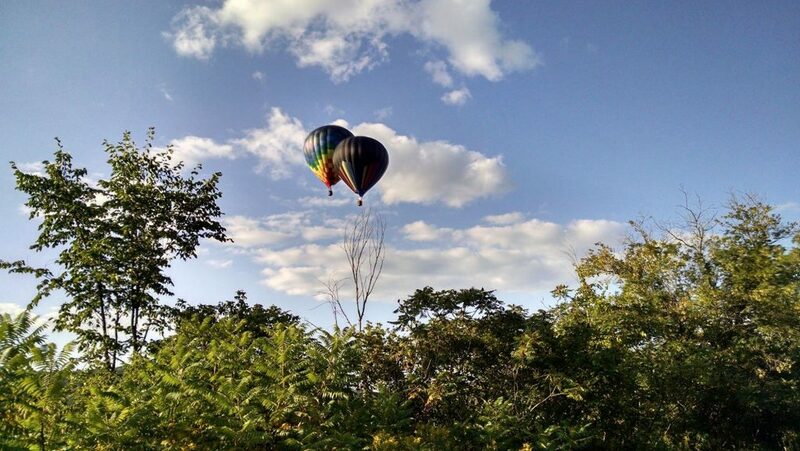 For our more adventuresome guests a hot air balloon flight is available. With advance notice and weather permitting, lift off from our back lawn on an unforgettable journey. 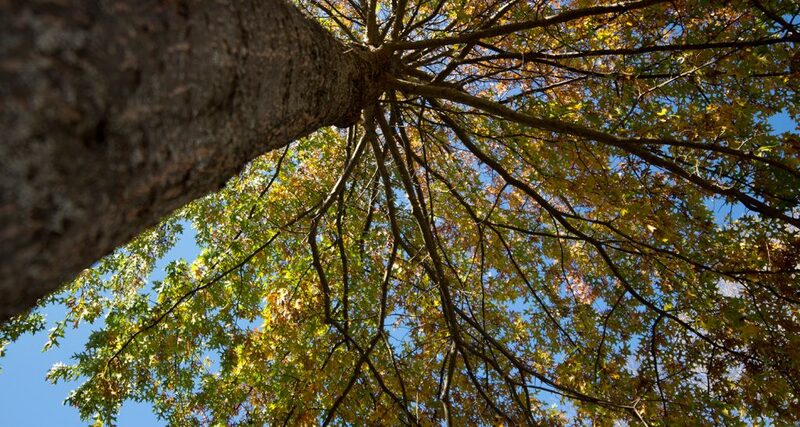 Perhaps you may wish to slow down the pace and explore the local farms, fields and forests, ever-changing with the seasons. 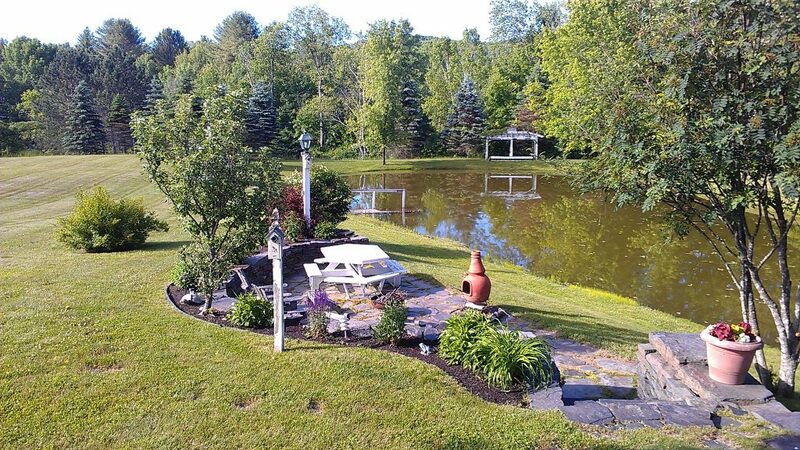 Or you may enjoy a picnic in the gazebo or by the pond. In winter, the glistening white, snow-covered fields just down the road may tempt you to enjoy snowshoeing or cross-country skiing. Awaken each morning to the aroma of freshly brewed coffee followed by a savory breakfast. Although the dining room possesses all the prerequisites for formal elegance, the atmosphere is cheerful and relaxed. Guests sometimes sit for hours around the large candle lit table engaged in friendly conversation.